Just steps from Disney World Resort is a piece of paradise: Hyatt Regency Grand Cypress. My best friend and I stayed there for the runDisney Wine Dine Half Marathon. This was my first time at Hyatt Regency Grand Cypress and I instantly fell in love with this property. 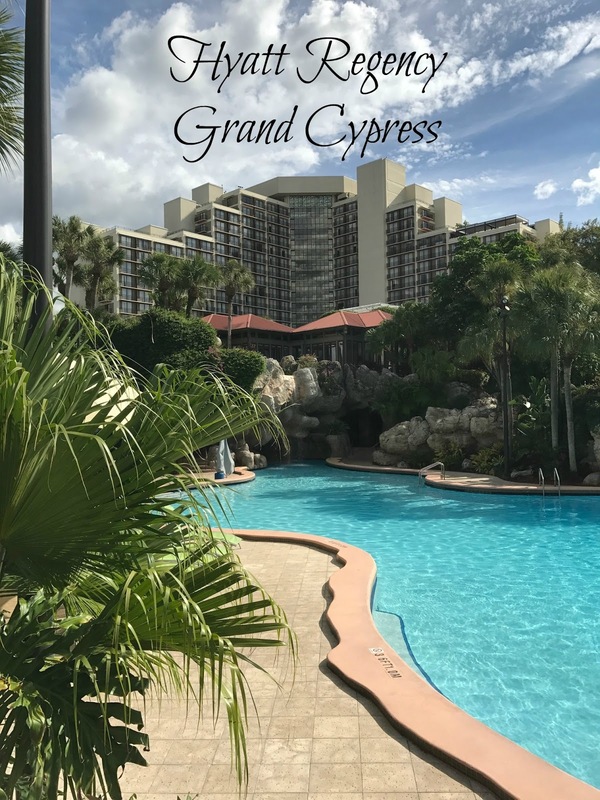 Hyatt Regency Grand Cypress screams luxury but is also inviting and family-friendly so you get the best of both worlds. Although you are staying at the craziness of Lake Buena Vista, you easily forget the hustle and bustle going on outside the gate once your on property. 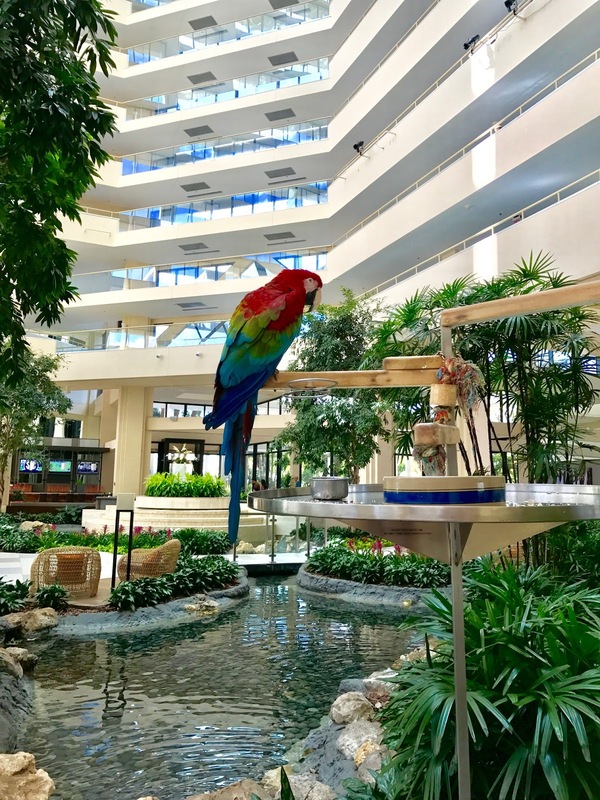 At registration, I met Hyatt Regency Grand Cypress ambassador, Merlot the Parrot. I am actually terrified of birds so I didn't get too close but he was very pretty! At registration, we were handed a welcome glass of champagne. The lobby is beautiful and had a very relaxing feel to it - perfect for unwinding after a busy day at the theme parks! We stayed in a Buena Vista Double Room which was spacious and overlooked the pool, lake and Disney. We had views of the nightly fireworks and gorgeous sunsets. We had a 2:30am alarm for the race and our car was instantly ready from Valet. The trip from Hyatt Regency Grand Cypress to Epcot was simple and we had zero traffic. Of all the runDisney events I have done, this was the only time I did not get stuck in traffic. In less than 15 minutes, we were parked. I would at Hyatt Regency Grand Cypress again in a heart beat for runDisney events. Following the race, we ordered breakfast from LakeHouse, one of restaurants located on property. Since it was to go, we didn't get a photo of it but this breakfast was the BEST eggs Benedict I've ever had. The Lakehouse Benedict was avocado toast topped with a poached egg, candied bacon and roasted tomatoes. It was devoured in less than 5 minutes. After running 13.1 miles, there was no place I would rather be than Hyatt Regency Grand Cypress pool. This pool was something out of a fairy tale with 12 waterfalls, a water slide, rope bridge, and a swim-through rock grotto with a hidden jacuzzi. The hidden jacuzzi's were our favorite. There were two, one was inside of the grotto which came in handy when a quick rain storm came through. You had an option of a heated pool and unheated pools. The unheated pools were cold but perfect for post running and we didn't need to take an ice bath! Another runner perk - the 24 hour fitness center has a stretching station with foam rollers so you don't need to travel with yours! The chairs at the pool were super comfortable and I took a 30 minute snooze. 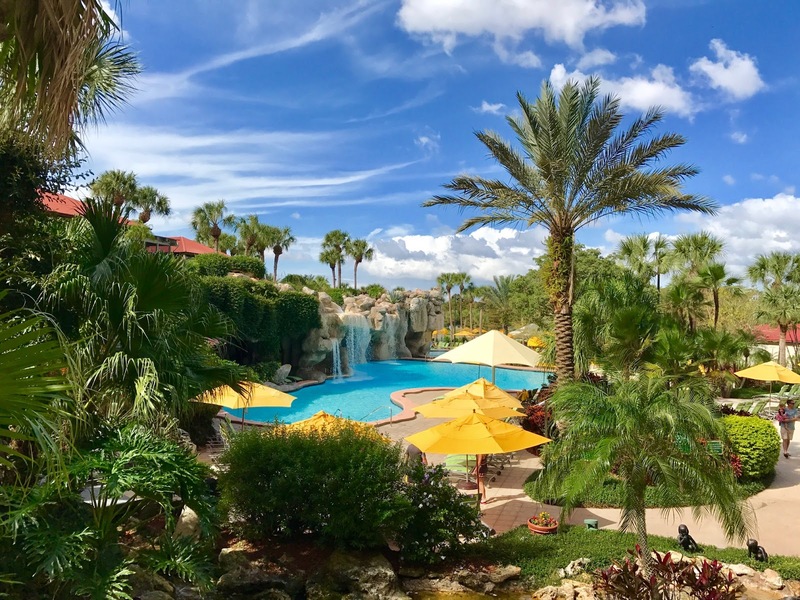 Aside from the amazing pools, there are quite a few activities to do at Hyatt Regency Grand Cypress. There is a 21 acre private lake called Lake Windsong and you can choose from a wide variety of non motorized water activities. Paddleboat, Kayaks, Hydro Bokes, Canoes, Aqua Cycles, and Sailboats are there for you to enjoy. You can also sunbathe on their 1,000-foot-long white sand beach. There are a ton of bikes available for you to rent and take a nice ride out along the 1,500 square foot property. There are also three jogging trails on property ranging from 1.3 to 4.7 miles. As you can see, staying at Hyatt Regency Grand Cypress is a vacation inside a vacation. I did not feel that we were in Orlando and there is so much to do and see. We stayed two nights and could have easily stayed a week doing various activities each day. 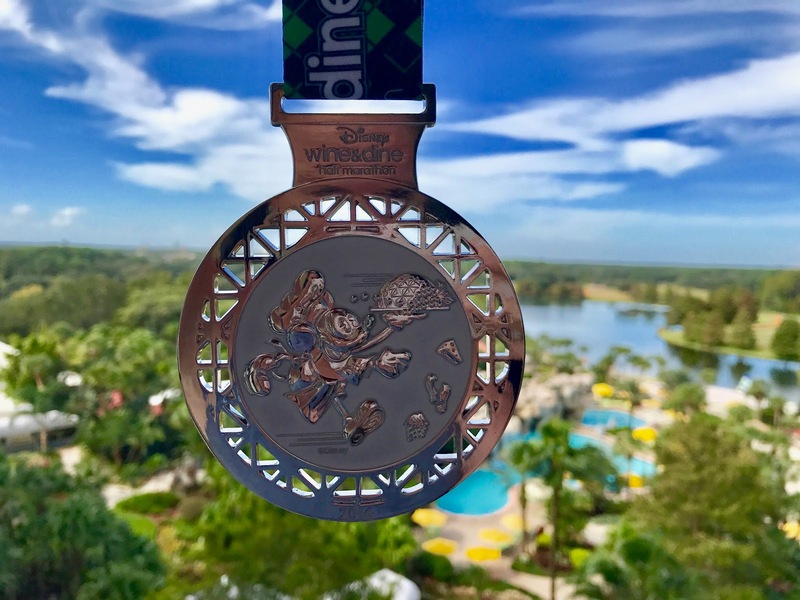 For those who participate at runDisney events, Hyatt Regency Grand Cypress was an ideal location with easy access to the race. We loved staying here and look forward to a return trip!